Canadian Jews or, alternatively, Jewish Canadians are Canadian citizens of the Jewish faith or Jewish ethnicity. 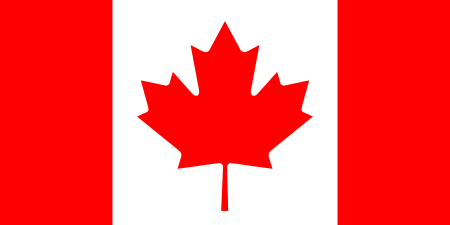 Jewish Canadians are a part of the greater Jewish diaspora and form the fourth largest Jewish community in the world, exceeded only by those in Israel, the United States, and France. As of 2011, Statistics Canada listed 329,500 adherents to the Jewish religion in Canada and 309,650 who claimed Jewish as an ethnicity. One does not necessarily include the other and studies which have attempted to combine the two streams have arrived at figures in excess of 375,000 Jews in Canada. This total would account for approximately 1.1% of the Canadian population. The Jewish community in Canada is composed predominantly of Ashkenazi Jews and their descendants. Other Jewish ethnic divisions are also represented, including Sephardi Jews, Mizrahi Jews, and a number of converts. The Jewish Canadian community manifests a wide range of Jewish cultural traditions, as well as encompassing the full spectrum of Jewish religious observance. Though a small minority, Canadian Jews have had an open presence in the country since the arrival of the first Jewish immigrants after the British took possession of nearly all of New France after the 1763 Treaty of Paris ending the Seven Years' War. 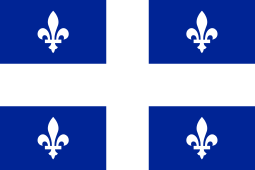 Prior to the British Conquest of New France there were officially no Jews in Canada because when King Louis XIV made Canada officially a province of the Kingdom of France in 1663, he decreed that only Roman Catholics could enter the colony. One exception was Esther Brandeau, a Jewish girl who arrived in 1738 disguised as a boy and remained for a year before being sent back to France after refusing to convert. The earliest subsequent documentation of Jews in Canada are British Army records from the French and Indian War, the North American part of the Seven Years' War. In 1760, General Jeffrey Amherst, 1st Baron Amherst attacked and seized Montreal, winning Canada for the British. Several Jews were members of his regiments, and among his officer corps were five Jews: Samuel Jacobs, Emmanuel de Cordova, Aaron Hart, Hananiel Garcia, and Isaac Miramer. 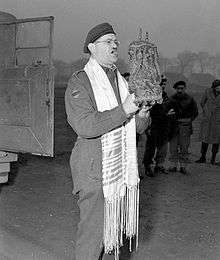 Most of the early Jewish Canadians were either fur traders or served in the British Army troops. 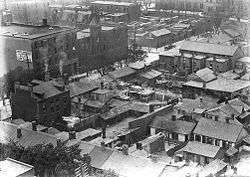 A few were merchants or landowners. Although Montreal's Jewish community was small, numbering only around 200, they built the Spanish and Portuguese Synagogue of Montreal, Shearith Israel, the oldest synagogue in Canada in 1768. 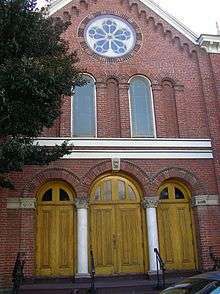 Some sources date the actual establishment of synagogue to 1777 on Notre Dame Street. Abraham Jacob Franks settled at Quebec City in 1767. 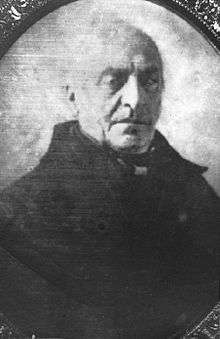 His son, David Salesby (or Salisbury) Franks, who afterward became head of the Montreal Jewish community, also lived in Quebec prior to 1774. Abraham Joseph, who was long a prominent figure in public affairs in Quebec City, took up his residence there shortly after his father's death in 1832. Quebec City's Jewish population for many years remained very small, and early efforts at organization were fitful and short-lived. A cemetery was acquired in 1853, and a place of worship was opened in a hall in the same year, in which services were held intermittently; but it was not until 1892 that the Jewish population of Quebec City had sufficiently augmented to permit of the permanent establishment of the present synagogue, Beth Israel. The congregation was granted the right of keeping a register in 1897. Other communal institutions were the Quebec Hebrew Sick Benefit Association, the Quebec Hebrew Relief Association for Immigrants, and the Quebec Zionist Society. By 1805, the Jewish population was about 350, in a total population of 68,834. The Canadian Jewish Congress was founded in 1919 and would be the major representative body of the Canadian Jewish community for 90 years. Much of its work was focussed on lobbying government around issues of immigration, human rights and anti-Semitism. In 1939, Canada turned away the MS St. Louis with 908 Jewish refugees aboard. It went back to Europe where 254 of them died in concentration camps. And overall, Canada only accepted 5,000 Jewish refugees during the 1930's and 1940's in a climate of widespread anti-Semitism. The Jewish population is growing rather slowly due to aging and low birth rates. The population of Canadian Jews increased by just 3.5% between 1991 and 2001, despite much immigration from the Former Soviet Union, Israel and other countries. Recently, anti-Semitism has become a growing concern, with reports of anti-semitic incidents increasing sharply over the past two years. This includes the well publicized anti-Semitic comments by David Ahenakew and Ernst Zündel. In 2009, the Canadian Parliamentary Coalition to Combat Antisemitism was established by all four major federal political parties to investigate and combat antisemitism, namely new antisemitism. However, anti-semitism is less of a concern in Canada than it is in most countries with significant Jewish populations. The League for Human Rights of B'nai B'rith monitors the incidents and prepares an annual audit of these events. Politically, the major Jewish Canadian organizations are the Centre for Israel and Jewish Advocacy (CIJA) and the more conservative B'nai Brith Canada which both claim to be the voice of the Jewish community. A smaller organization, Independent Jewish Voices (Canada), characterized as anti-Zionist, argues that the CIJA and B'nai B'rith do not speak for most Canadian Jews. Also, many Canadian Jews simply have no connections to any of these organizations. Mainstream Jewish community views are expressed in Canadian Jewish News, a moderate weekly. Western Canadian Jewish views are reflected in the Winnipeg-based weekly The Jewish Post & News. 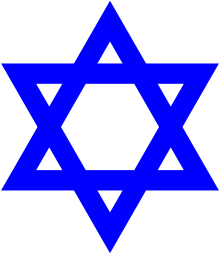 Hebrew (עברית‎) is the liturgical and historical language of the Jews and Judaism and also the language of Jewish Israeli expatriates living in Canada. Yiddish (יידיש‎) is the historical and cultural language of Ashkenazi Jews, who make up the majority of the Canadian Jewry and was widely spoken within the Canadian Jewish community up to the middle of the twentieth century. Building a distinctive occupational profile and an affinity for entrepreneurship and business, Jews were heavily involved in the Canadian garment industry as it was the only business for which they had any training. 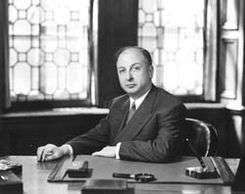 Furthermore, cultural factors that made the industry somewhat lucrative as Jews could be certain that they would not have to work on the Sabbath or on major holidays if they had Jewish employers as opposed to non Jewish employers and were certain that they were also unlikely to encounter anti-Semitism from co-workers. Jews generally did not exhibit any loyalty and sympathy toward the working class through successive generations. Even within the working class, Canadian Jews tended to be concentrated in the ranks of highly skilled, as opposed to unskilled labor. But ties to the working class and union solidarity were not part of an eternal ideology as Jewish parents desired their children to attend University and achieve higher ranked jobs as it served as the primary gateway for a higher income. 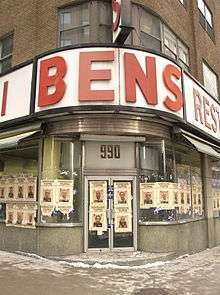 By the end of World War II, Jews in Canada began to disperse the working class in large numbers and attained a disproportionate amount success in a variety of white collar jobs as well as starting their businesses. Median household incomes in the Jewish community exceeded the national average. Sol Encel and Leslie Stein, authors of Continuity, Commitment, and Survival: Jewish communities in the diaspora cite that Jews over the age of the 15 who are in University or completed a bachelor's degree is roughly 40% in Montreal, 50% in Toronto and 57% in Vancouver. Stein also cites that Canadian Jews are statiscally overrepresented in many fields such as medicine, law, finance careers such as banking and accounting, and human service occupations such as social work and academia. ↑ DellaPergola, Sergio (2013). Dashefsky, Arnold; Sheskin, Ira, eds. "World Jewish Population, 2013" (pdf). Current Jewish Population Reports. Storrs, Connecticut: North American Jewish Data Bank. 1 2 Shahar, Charles (2011). 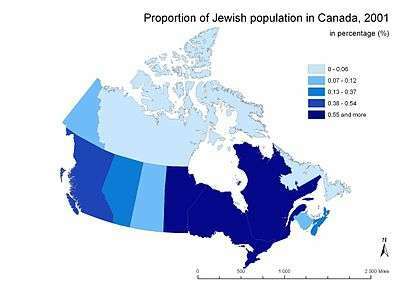 "The Jewish Population of Canada - 2011 National Household Survey". Berman Jewish Databank. Retrieved September 9, 2014. 1 2 "Basic Demographics of the Canadian Jewish Community". The Centre for Israel and Jewish Affairs. 2011. Retrieved September 9, 2014. 1 2 "Jewish Population of the World". Jewish Virtual Library. 2012. Retrieved September 9, 2014. ↑ "JEWISH POPULATION IN THE WORLD AND IN ISRAEL" (PDF). CBS. Retrieved 2011-11-22. ↑ "The Canadian Jewish Experience". Jcpa.org. 1975-10-16. Retrieved 2011-11-22. ↑ "2011 National Household Survey: Data tables: Religion". Statistics Canada. 2011. Retrieved September 9, 2014. ↑ "2011 National Household Survey: Data tables: Ethnic Origin". Statistics Canada. 2011. Retrieved September 9, 2014. ↑ Canada's Jews: A Social and Economic Study of Jews in Canada in the 1930s. Louis Rosenberg, Morton Weinfeld. 1993. ↑ Hinshelwood, N.M. (1903). Montreal and Vicinity: being a history of the old town, a pictorial record of the modern city, its sports and pastimes, and an illustrated description of many charming summer resorts around. 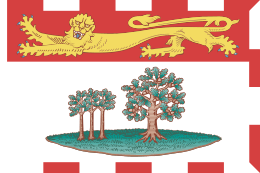 Canada: Desbarats & co. by commission of the City of Montreal and the Department of Agriculture. p. 55. Retrieved January 1, 2012. ↑ Isidore Singer; Cyrus Adler (1907). The Jewish Encyclopedia: A Descriptive Record of the History, Religion, Literature, and Customs of the Jewish People from the Earliest Times to the Present Day. Funk & Wagnalls. p. 286. ↑ Singer and Adler (1907). The Jewish Encyclopedia: A Descriptive Record of the History, Religion, Literature, and Customs of the Jewish People from the Earliest Times to the Present Day. Funk & Wagnalls. p. 286. ↑ Hinshelwood, N.M. (1903). Montreal and Vicinity: being a history of the old town, a pictorial record of the modern city, its sports and pastimes, and an illustrated description of many charming summer resorts around. Canada: Desbarats & co. p. 53. ISBN 978-0-226-49407-4. Retrieved January 1, 2012. 1 2 3 "1: Yiddish culture in Western Canada" (PDF). Retrieved 2011-05-18. ↑ Manitoba Historical Society "The Contribution of the Jews to the Opening and Development of the West"
↑ "Story of Saskatchewan's Jewish farmers goes to national museum". CBC News. 12 July 2013. Retrieved 18 May 2016. ↑ Beswick, Aaron (2013-12-15). "Canada turned away Jewish refugees". Retrieved 2016-11-24. ↑ Ester Reiter and Roz Usiskin, "Jewish Dissent in Canada: The United Jewish People's Order", paper presented on May 30, 2004 at a forum on "Jewish Dissent in Canada", at a conference of the Association of Canadian Jewish Studies (ACJS) in Winnipeg. ↑ Benazon, Michael (2004-05-30). "Forum on Jewish Dissent". 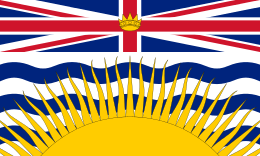 Vcn.bc.ca. Retrieved 2011-05-18. ↑ Canadian Jewish News (2 September 2014). "Archive collects stories of Southern African Jews". Retrieved 15 November 2015. ↑ "Jewish Life in Greater Montreal Study". Retrieved 2011-05-18. ↑ "Statistics canada: 2001 Community Profiles". 2.statcan.ca. 2002-03-12. Retrieved 2011-05-18. ↑ "Microsoft Word - Canada_Part1General Demographics_Report.doc" (PDF). Retrieved 2011-05-18. ↑ "CanadianParliamentaryCoalitiontoCombatAntisemitism". Cpcca.ca. Retrieved 2011-05-18. ↑ "Report on the Demographic Situation in Canada (Catalogue no. 91-209-XIE)" (PDF). Statistics Canada. 2005. Archived from the original (PDF) on October 30, 2008. Retrieved 2010-08-25. ↑ The Canadian Jewish News. "Will Jews flee Belgium and France for Quebec?". Retrieved 7 June 2015. 1 2 The Jewish Agency for Israel. "The Jewish Community of Canada: A History of the Canadian Jewish Community". Retrieved 7 June 2015. 1 2 Spolsky, Bernard. The Languages of the Jews: A Sociolinguistic History. Cambridge University Press, March 27, 2014. ISBN 1139917145, 9781139917148. p. 227. ↑ Spolsky, Bernard. The Languages of the Jews: A Sociolinguistic History. Cambridge University Press, March 27, 2014. ISBN 1139917145, 9781139917148. p. 226. 1 2 "Carleton University - Hillel: The Foundation for Jewish Campus Life". Hillel. 2008-01-08. Retrieved 2011-12-09. ↑ "Jews of Canada". Jafi.org.il. 2008-12-02. Retrieved 2011-11-22. 1 2 3 "From Immigration To Integration - Chapter Sixteen". Bnaibrith.ca. Retrieved 2011-11-20. 1 2 3 4 "The Institute for International Affairs Page". Bnaibrith.ca. Retrieved 2011-11-20. ↑ "Religious Discrimination in Canada" (PowerPoint). Retrieved November 20, 2011. 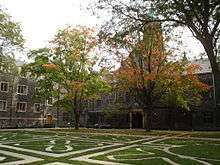 ↑ Hillel's Top 10 Jewish Schools Archived December 20, 2007, at the Wayback Machine. 1 2 3 4 5 "Economic Life | Multicultural Canada". Multiculturalcanada.ca. Retrieved 2011-11-22. 1 2 Continuity, commitment, and survival ... - Sol Encel, Leslie Stein. Google Books. Retrieved 2011-11-25. ↑ Journal of Small Business and ... Google Books. Retrieved 2011-12-09. ↑ Wallace Clement. "Elites". The Canadian Encyclopedia. Retrieved 2011-11-25. ↑ "2006 Income by Age of Head of Household". Tetrad. Sociology. 2006. Retrieved 18 May 2012. ↑ Veenstra, Gerry (2010). Culture and Class in Canada. University of Alberta: Canadian Journal of Sociology. ↑ Continuity, commitment, and survival ... - Sol Encel, Leslie Stein. Google Books. Retrieved 2011-12-09. ↑ Leo: a life - Leo Kolber, L. Ian MacDonald. Google Books. Retrieved 2011-12-09. ↑ Encyclopedia of the Jewish diaspora ... - Mark Avrum Ehrlich. Google Books. Retrieved 2011-12-02. ↑ La Griffe du Lion. "Some Thoughts about Jews, IQ and Nobel Laureates". Lagriffedulion.f2s.com. Retrieved 2011-12-02. 1 2 income Canadian Jews&f=false. Books.google.ca. Retrieved 2011-11-20. ↑ "6 Canadian Jews on Forbes' Rich List". Shalom Life. Retrieved 2011-11-20. This article incorporates text from a publication now in the public domain: Singer, Isidore; et al., eds. 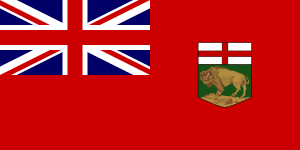 (1901–1906). "Canada". Jewish Encyclopedia. New York: Funk & Wagnalls Company.